Items of the Week: 5 Great Catches | Breezy Mama Breezy Mama - Expert parenting advice, celebrity interviews, product reviews for kids, moms and babies and more! Continuing on with Breezy Mama’s series of the latest and greatest product finds, check out this week’s picks that made the cut! What at first may appear to be monkey business (ahem) will later prove to be a huge stress relief: teaching your child sight words. If you don’t have a kid in Kindergarten yet, then let me stress you out, er, um, explain. There are 50 or so words that your child will need to know in order to advance to the next grade in school and this DVD teaches them in a fun and funky way. So, when you need a li’l afternoon break, instead of corrupting your kid with Sponge Bob, consider this educational viewing that will get your kids a jump start on reading… and maybe even craving a banana. $13.99 — click here to purchase. And speaking of reading, Lee & Low books provides socially conscious stories. 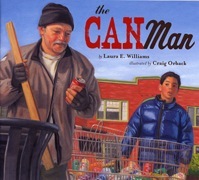 A sentimental pick for me is The Can Man, “told with honesty and respect, this timely story shines a perceptive light on current social concerns. Readers will be encouraged to think beyond themselves and celebrate the simple acts of kindness and sharing that make a difference in people’s lives.” Anyone who grew up with me in Carlsbad, California can also tell you about our very own can collector who worked from sun up until sun down and always ended the day with a very full bag. With several other titles to choose from, these books are bound to get your child and you thinking. Prices vary — click here! Get on board with this game for the whole family. They say, “Can you find the right cargo? 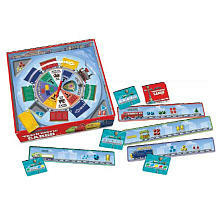 Look inside the boxcars for the shapes, colors and numbers you need. But watch out – you never know when Old Puffer Pete will chug around the track and mix up everything! It’s a fun game of memory, pattern matching and discovery!” Can I hear a choo choo! $16.99 — To purchase, click here! 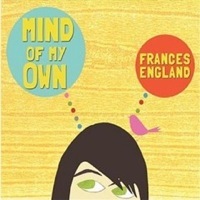 For sweet music to YOUR ears, check out Frances England’s latest CD. Breezy Mama has previously featured her last album and this next effort is equally as fun. In fact a favorite of my kids is Jacques Cousteau, a catchy and educational song. $13.25 — To purchase, click here! Get these adorable tees for a good cause! 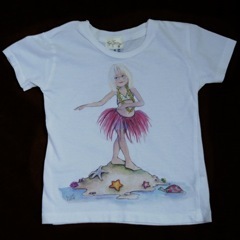 Tiny Turnip is donating 50% from every purchase toward The Maddie James Foundation. Another great way to donate while getting a treat for yourself (comes in adult sizes, too) and/or your little one. $40 — To purchase, click here!